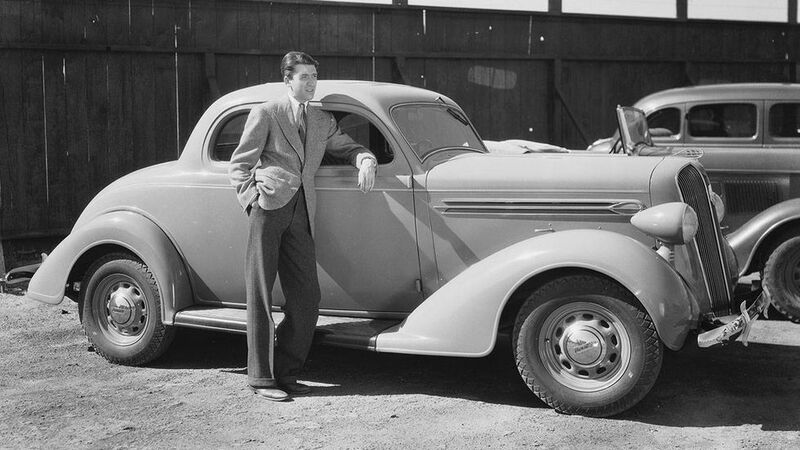 American actor James Stewart (1908-1997) leaning against a 1936 Plymouth. April 1, 1936. James Maitland “Jimmy” Stewart was an American actor and military officer who is among the most honored and popular stars in film history.